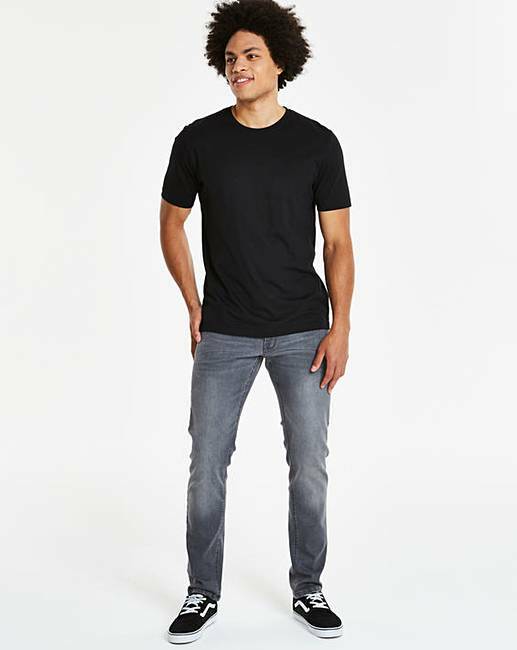 Black Crew Neck T-shirt Long is rated 4.7 out of 5 by 111. 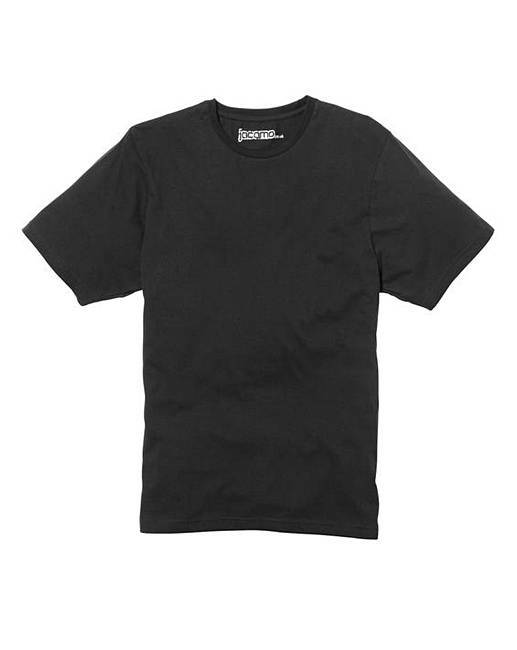 Rated 5 out of 5 by Joy2B from Large fit t shirt Basic good quality. Tall fit is ideal for the larger man. Rated 3 out of 5 by Jakeyb from Fantastic until washed These are a great length and fit but do shrink in the wash. I wash at 30° as well. Rated 5 out of 5 by Debbie 67 from Great product My partner loves this t-shirt great quality and great price. Rated 5 out of 5 by Edward Osborn from Finally a tee that's long enough Being tall, I find it ridiculously hard to find tees that are long enough to fit me properly. 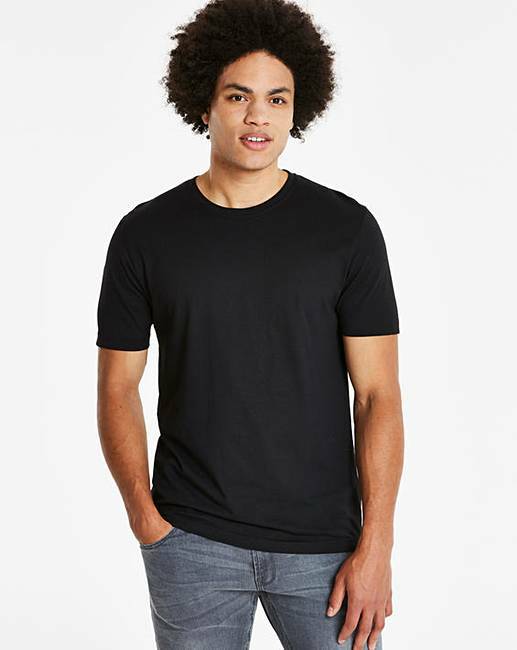 Many places sell tees up to 3XL all the same length, but practically none sell longer length ones, so this bargain priced LONG tee is very, very welcome! Rated 3 out of 5 by Pamps from Cheap but poor quality I know this t-shirt range is cheap but the quality deteriorates each time I buy one. The fabric is so thin that you can see through it!